The WMGMPU40 series of medical AC/DC power supplies offers up to 40 watts of output power in a compact wall mount package. This series consists of single output models with a universal input voltage range high efficiency. 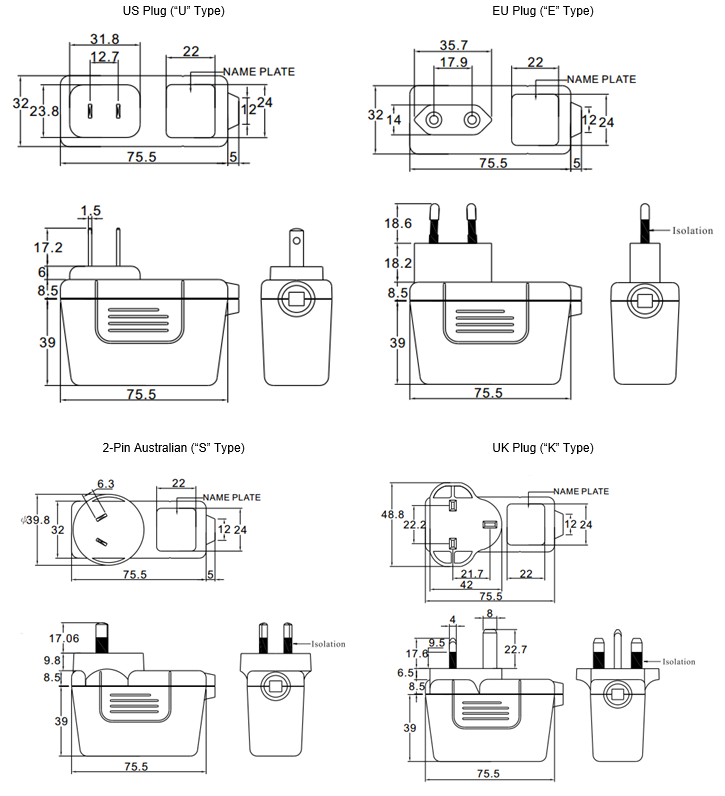 A few different options are available for this series including output connectors as well as plug type, which can either be US, EU, SA, or UK plug. Each model in this series is protected against short circuit, over current, and over voltage conditions, and all models (except the 6-8V version) are Level VI compliant. This series meets 60601-1-11 safety approvals for health care applications as well as UL; ES60601-1, CSA:C22.2 No.60601-1, CB: IEC60601-1, and EN60601-1 safety approvals. Notes: 1. “X” in model number indicates plug type. 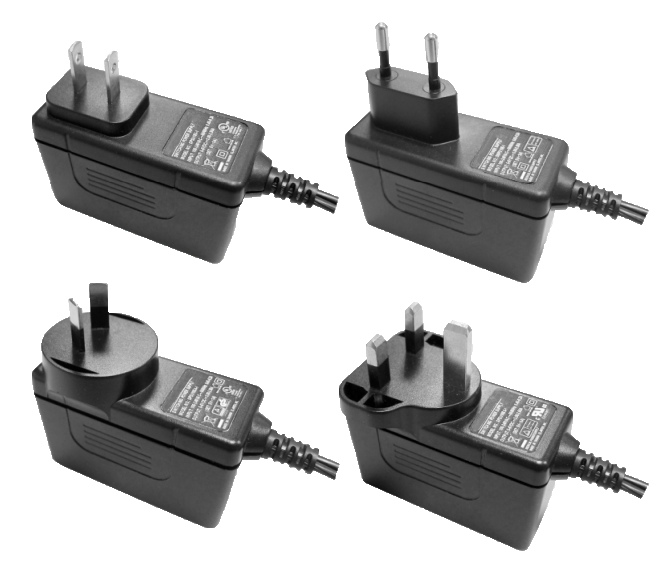 “X” can either be “U” for US plug, “E” for EU plug, “S” for 2-pin Australian plug, or “K” for UK plug.